Bonus sign up days! published on October 11, 2014 Read more posts by the author of Bonus sign up days!, JentimkoNo Comments on Bonus sign up days! My crazy schedule is your gain this weekend! 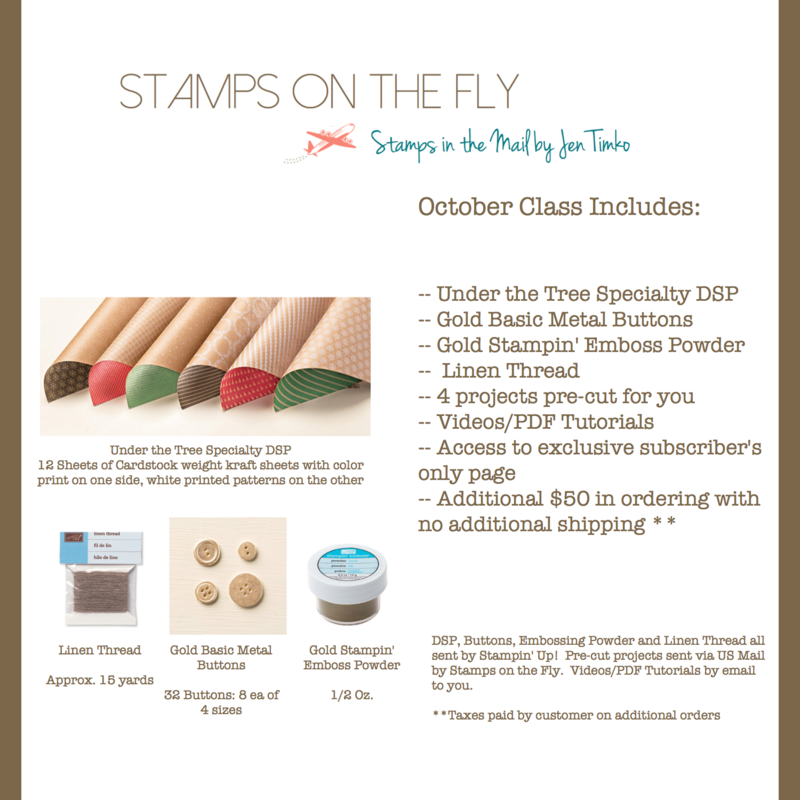 We have soccer mania and I know I’ll be caught up in all the excitement so I’m extending the sign up period for this month’s Stamps on the Fly Bright & Beautiful Edition. For those who have already signed up, you’ll be getting these extras in your package of supplies from me already! If you sign up this weekend, I’ll add in some bonus supplies too. Sign up by Saturday and get the accessories to create a second of this month’s 3D project. 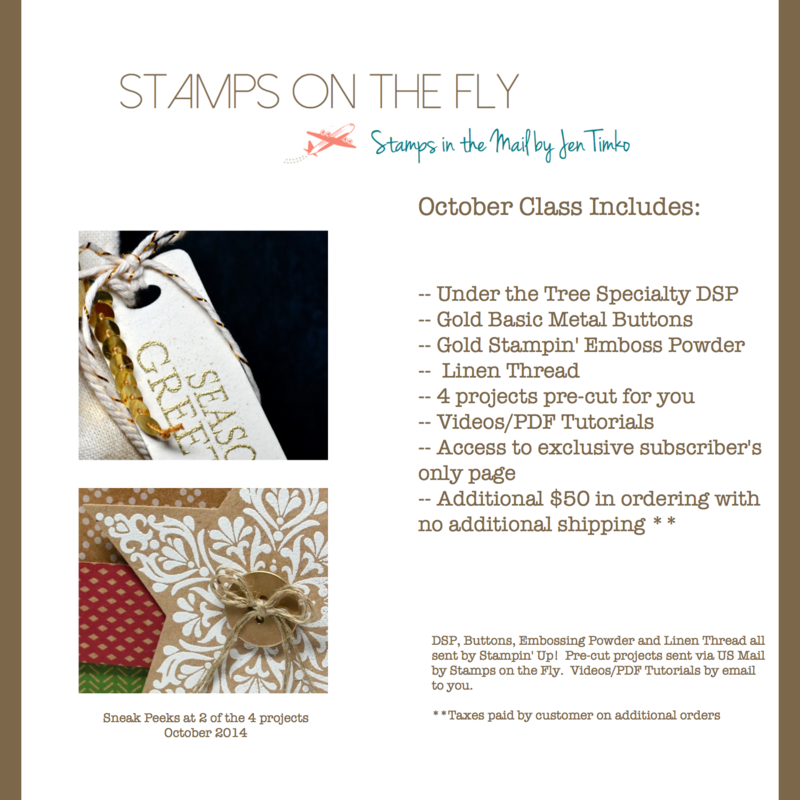 Sign up by Sunday and get a selection of trim, mini clothespins and Baker’s Twine. This program is too fun to miss so sign up as soon as you can!! Sign ups now open through Sunday, Oct. 12th!